Thanks to relatives of Reginald and the Stanley family, I have been able to look back over the Family Tree with great interest, they certainly do have some fascinating branches. Brushes with Parliament and the Religious hierarchy to name just a few. Keep coming back to read more as I update the page with interesting stories and information on the Stanley Clan. I'll start with Reginald's father The Reverend Jacob Stanley (left). Born in Sevenoaks, Kent on the 2nd November 1803. 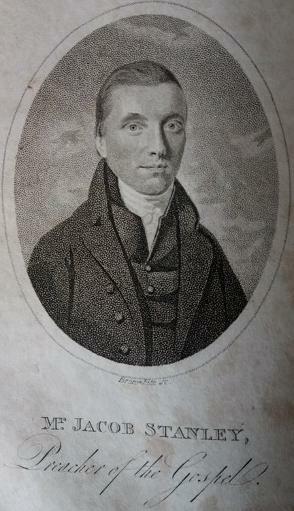 My records show he was one of eight children to Jacob and Sarah Stanley (more on Jacob Snr below). 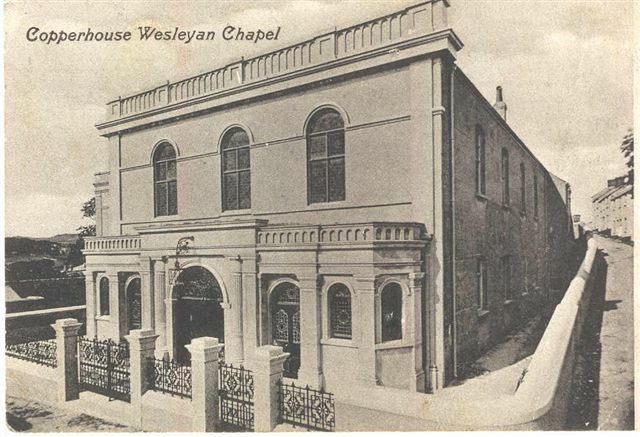 The family were brought up along the Wesleyan Methodist path and he followed his father in becoming a Methodist preacher, entering the Church in 1829 aged 26. As most Ministers did they travelled the country, the connexion gave them each a Church for a couple of years at a time before moving to a new area. In 1835 while in Cornwall he married Susanna Jenkin, in Northill, on the 13th July. 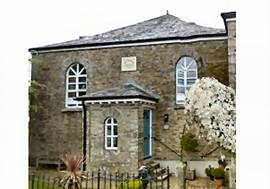 Susanna's Father Reginald Jenkin was the original trustee when they built the Wesleyan Chapel in Northill in 1810 (Below). Within the year they had started a family with the arrival of their first child Reginald's sister. During his life time Jacob lived in Cornwall as we know, Portsmouth, Nuneaton and for a time Leicester. Settling in later life in Clapham, London. Susan Jenkin Stanley, born 1st May 1836 in Phillack, Cornwall, down the coast, just a few miles from Northill. 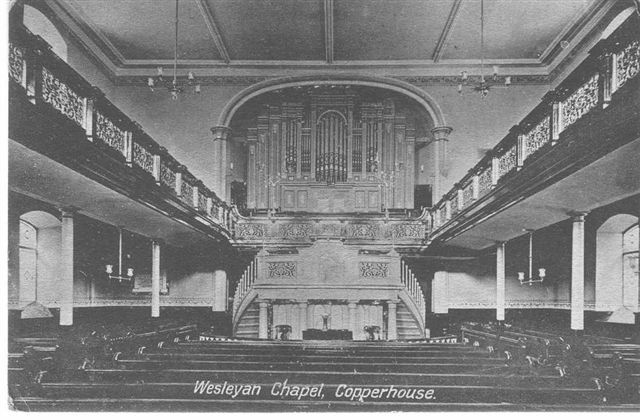 Jacob at that time was the minister at the CopperHouse Wesleyan Methodist Chapel (see below). Susan married Benjamin Broadbent the son of a wealthy timber merchant and architect from Leicester. He was to set up business with one of Susan's brothers in Nuneaton and the rest is history as they say. Susan's bond with her siblings was always strong and the tight knit family were never far away. Click on Susan's name above to read more about her and the Broadbent family. 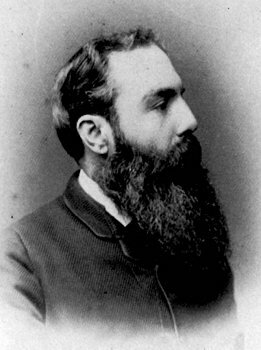 Next came Reginald who was born just a couple of years later on the 2nd May 1838 in Hayle, Cornwall. After him came Jacob Stanley Jnr, born in 1840, they had traveled ninety or so miles up the coast to Great Torrington, Devon. Jacob was to play a big part in Nuneaton's future which you can read about on his own page. (click on his name). Ellen Stanley was forth, they had moved further east and were now in Trowbridge, Wiltshire in 1842. Unfortunately I don't know a lot about Ellen, she didn't marry and was still living with her mother in 1891. If anyone can shed light on her life please do get in touch. Frances Elizabeth Stanley (see right)nwas next in 1843. The family had settled this time in Weymouth, Dorset. Frances later in life was also on the move as a Ministers wife. She married William Davison a Wesleyan Minister, living in Staffordshire and London to name a few places they resided in. Finally it was Lucilla Stanley born in Weymouth 1845. Lucilla married Frederick Charles Maxwell a School Master and local Methodist Preacher in Clapham, London. His school had 19 children in 1881 and was in Old Town, Clapham. I am currently working on the Maxwell page which again is full of interesting information about the family. Reginald's grandfather was born in Alnwick, Northumberland on the 14th January 1776. He also had a Methodist upbringing as his father Edward was a Methodist Minister too and a very large family. Edward and his wife Margaret had ten children. From an extract in the Methodist Conference on the death of Jacob, it mentions that at the age of eleven 'he was deeply convinced of sin' and dedicated himself to the Methodist society. Along with his brother Thomas, they made their promise to God, and to serve the Lord, Thomas in 1795 and Jacob 1797 just twenty one years old. As with all Ministers they set off for new surroundings and to spread the message. Jacob was preaching in Luton, Bedfordshire during the early part of the 19th century and while there he came across a young lady by the name of Sarah Taylor. They eventually married in 1801. Within a few years the family had grown and the pair had nine children. Sarah Chalkley, Jacob (mentioned above), Jane, Thomas, Henry Edward, Ann Lucilla, Elizabeth, Magaret, and John. Not only did they have to cope with nine children but they also continued to moved all over the country for the Church. Some of those places included Cheeping Wycombe Buckinghamshire, Sevenoaks in Kent, Dudley Worcestershire and Bristol. The Connexion had been good to Jacob over his lifetime and in his 38th year as a minister, he was voted by his brethren to fill the highest office and became President of the 103rd Wesleyan Methodist Conference in Leeds. A top honour for a man that had dedicated his life to the Church. Just a few years later as he entered into his seventieth year he took a step back from front line preaching becoming a Supernumerary Minister, and retired to Stourport, Worcester. A Stanley name worthy of a mention is Sarah Chalkley, one of Jacob's daughters, in fact his eldest. Born 5th May 1802 in Chepping Wycombe in Buckinghamshire. Her early life was spent travelling with her Father as he was deployed around the country in his duties. During these travels she met a man by the name of George Pearce Baldwin, a local Iron Founder owner in Stourport on Severn, originally from Broseley, Shropshire. Sarah was his second marriage they tied the knot in 1822. The newly weds moved into No2 Lombard Street (see below) sadly tragedy struck just a few years later when they lost their first child George when only a few months old. They eventually went on to have another eight children. George (number two), Stanley, Sarah Anne, Edward, Mary Jane, Lucilla, Eliza and finally Alfred. Alfred was born eight months after his father died in 1841. George's two sons from his previous marriage Pearce and William continued to run the Iron Foundry after their fathers death with their uncle Enoch, leaving Sarah to look after the rest of the family. She eventually passed away in 1874, 34 years after she lost George. Going slightly off the Stanley trail now, but its for a worthy reason. It focus's on the youngest son of Sarah and George, Alfred. His importance on the country's future will soon become apparent. Alfred was taught at the Wesleyan College in Taunton until at just sixteen, he was made a partner in the families business along with seven other family members. 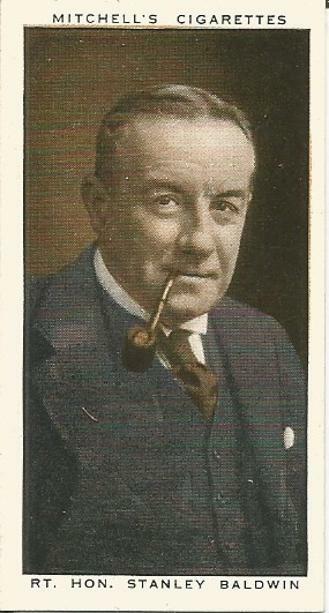 A cigarette card of Stanley Baldwin from my own collection. This name will be very familiar to many, Stanley Baldwin was the Prime Minister of Great Britain and was the only child of Alfred and Louisa Baldwin. As with most Victorian era families they seemed to pass on names down the family line and the Stanley name was carried on with this future Prime Minister. Born 3rd August 1867 in Bewdley. 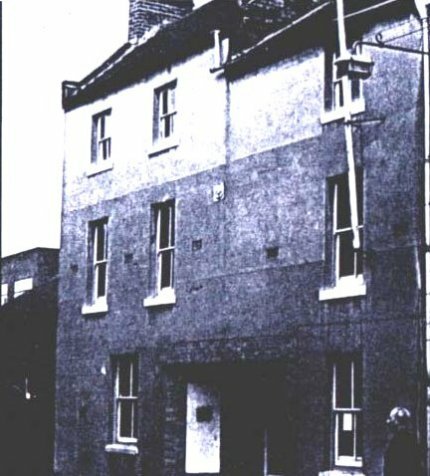 Stanley's early life was spent at the family home in Wilden, close by his fathers Iron Works business. He was sent to boarding schools in London and Brighton, also attending Cambridge Universities Trinity College before coming back home to join his father in running the family Iron works. Aged 25 and running a very successful business he found love and married Lucy Risdale of Bayswater, London on the 12th September 1892 and they had seven children. Stanley must have gained a lot of knowledge from his fathers political adventures, and was soon delving into the scene himself, unsuccessfully contesting the seat of Kidderminster in the General Election of 1906. His father Alfred had wanted to serve in Parliament with his son. Its a shame in never happened but in an ironic sort of way due to his fathers death in 1908 he was elected as MP for Bewdley in the by-election uncontested taking his place among Great Britain's elite. His business experience helped his appointment as Financial Secretary of the Treasury in 1917, this was during the coalition government of David Lloyd George. He made an appeal during these tough times for the rich to donate voluntary in a bid to bring down the war debt. He gave a filth of his own wealth. In 1922 he played a large part in over throwing the coalition government and became Chancellor of the Exchequer in Andrew Bonar Law's Conservative government. When Bonar Law had to retire due to illness in 1923 Stanley became Prime Minister. He called for a general election to seek support but ended up losing the majority to rule and so they resigned in January 1924, handing power to the first Labour government. Their time in charge was sort lived after a second general election was called for in October of 1924, the Conservatives retuned to power along with Stanley at the helm. During this time his government was responsible for several notable achievements they included the Locarno non aggression pact, the expansion of pensions and house building, local government reform and extending the right to vote to women over the age of 21. The Conservatives lost the May election of 1929 and with it saw an attempt to remove him as the party leader, he managed to ward those detractors away and became an important figure during the reign of James Ramsey Macdonald. This was as Hitler and Nazi Germany were becoming a big threat to Europe. He once again became Prime Minister in June 1935 and continued to improve national defences with the increased presence of Hitler and now Mussolini's Italy. Stanley retired from politics 28th May 1937 and handed the duties of the Country to Neville Chamberlain. The Second World War broke out in 1939 and Stanley became the target for those who thought more could have been done to speed up rearmament and prevent war, notable a man by the name of Winston Churchill.